Happy Friday! I almost didn't make it into this space this week. I was hoping to share my recent garment finishes, but it just didn't quite happen. It's been nearly a month since my last catch-up post, so that seemed appropriate instead! The wedding is getting real close, so my main goal the last week and next week is simply to relax as much as I can. There is still plenty of work to do before we leave for Ohio, but I haven't been putting too many self-imposed deadlines on myself! I'm so happy that Fall is right around the corner. 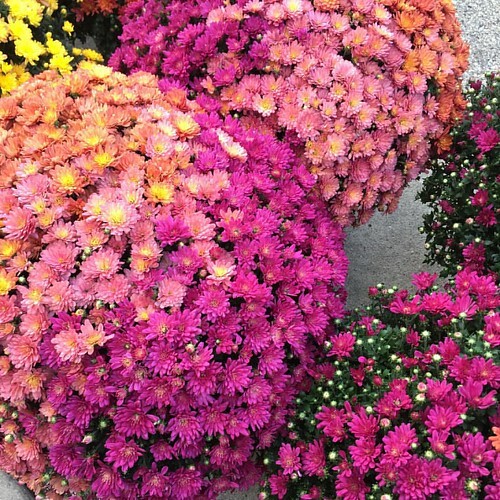 I was so tempted by these multi-colored mums at the grocery store, I've never seen any like that before! In between all the other exciting things going on this month, my book, Patchwork Essentials: The Half-Square Triangle, is shipping! (!!!) I'm not going to lie, it's been a little overwhelming thinking that it's winging it's way to shops right now! It should be showing up in local shops this week! So, let your shops know you'd like it! 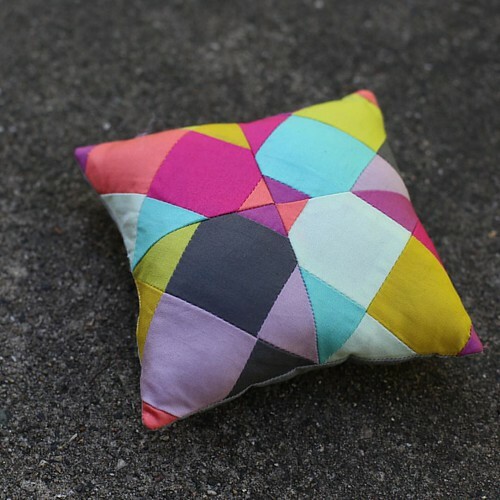 My local shop, The Sewcial Lounge, is running a pre-order special until the 15th! Use code VIP at checkout to receive 15% off and get a signed copy! For locals, this includes an invite to our VIP launch party, woot! (Also, if you are local and are picking up your book in store, your shipping will be refunded!) Order here! I have been doing some sewing! I stitched up a quick quilt top with Katarina Roccella's Imprint collection earlier this month. 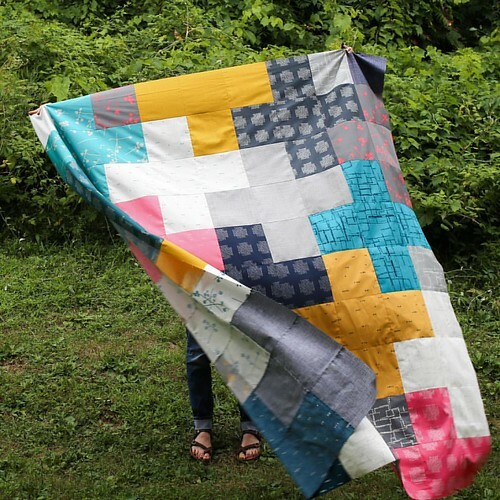 I used the largest square size in my Arithmetic Quilt Pattern! I love how it's turning out! I also managed to sew a little pincushion too! I used Pure Elements scraps and my pattern from the book Stitch n' Swap. I kind of want to make a bunch more. I have been doing some reorganizing in my sewing room, spurred on by Fall and an awesome deal for storage containers at Target. It's been a couple weeks now, but I got some giant bins for $4! I won't tell you how many I bought, haha! 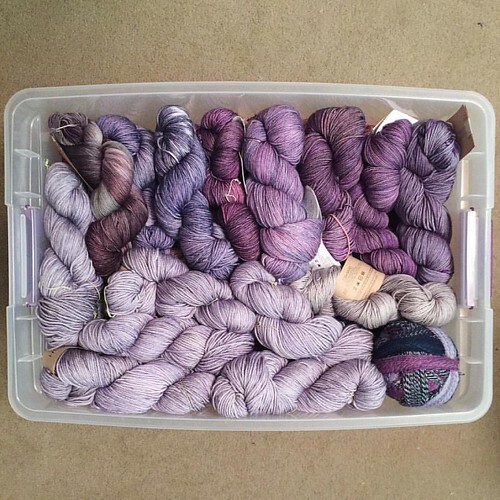 Anyways, when I was putting away my yarn purchases over the last few months I realized they were all purple! All the new Art Gallery Canvas prints shipped late last month, including my print from Curiosities! 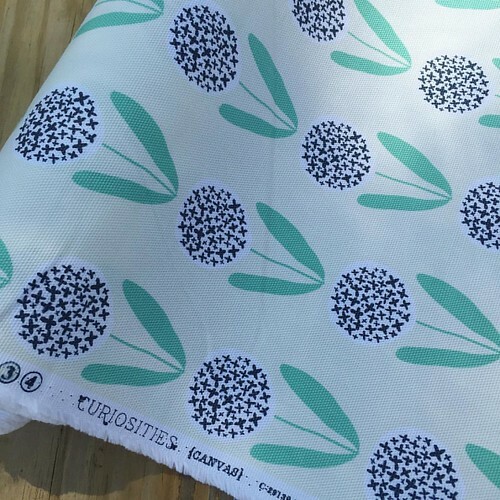 Hawthorne Threads has all the prints in stock, you can find mine here. I made a Zip-Top Tote from Handmade Style with my print earlier this summer (see here), and I have another project to share soon too! In July, Michael and I took a cooking class together at the newly opened Sur La Table in Madison. We took a Spectacular Summer Pies class, and made three kinds of pie. Since Michael's favorite dessert is pie, I knew he would be game! We had so much fun, and the pies were delicious. I made one of the pies from class a few weekends ago, a Nectarine Blueberry Crostata. It was messy, but so tasty! 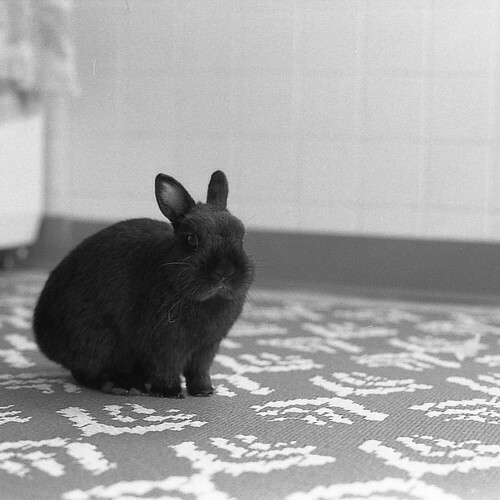 We have also started shooting black and white film photos again. It had been seven years since I shot a roll of film. Michael bought all the chemicals to develop the film ourselves, so I got to develop my roll earlier this month. I forgot how much work it is, but it was fun to do it again. I of course had to take some photos of George bun. This one is my favorite, he is so perfect for black and white photos! 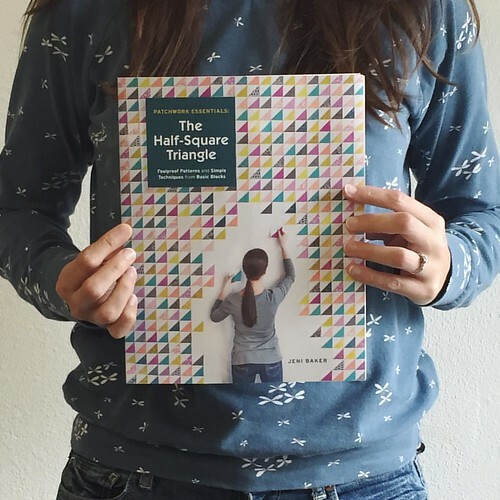 I was wondering what pattern you used to make your top in the photo of you holding your book? Thanks! It's the Linden Sweatshirt by Grainline Studio! Love you tiny pincushion~just ordered the book from Amazon. I think I have the perfect fabric for it. Also am waiting(not so patiently) for your HST book to arrive. Oh, so many fun things today. That pie looks beyond yummy. Funny, I was thinking about George just last night; he's such a lovely little fellow. Can I just say - gorgeous post. How handsome is George in b&w? What a cutie. 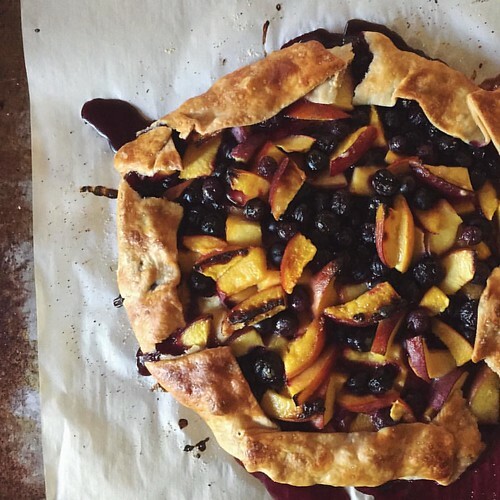 I took the Summer Pies class at my Sur La Table and made the Nectarine Blueberry Crostata at home immediately. So delicious and I love the crust recipe. You have a lot going on in your studio ... glad you took some time out for pie!